If you love golf, you probably want to go to Scotland. And if you travel to Scotland, you probably want to try some Scotch whisky. That’s one reason we include distillery tours and tastings in our trip prices to Scotland, and we even recommend specific courses with specific whiskies. The Glenmorangie Distillery was founded in 1843 on the banks of the Dornoch Firth in the Scottish Highlands, not far from the famed links at Royal Dornoch. The surrounding area is full of the rich history of Scotland, and the distillery gets its signet from an ancient Pict carving called the Hilton of Cadboll Stone. One of the most important pieces of early European sculpture, the stone was carved in the end of the eighth century CE. After so many centuries of wear and tear, the stone was moved to the National Museum in Scotland for safekeeping, and the Glenmorangie Distillery hired a sculptor, Barry Grove, to recreate the stone by hand. The new sandstone slab sits on the original site as a testament to the creative drive of both the ancient and modern Scottish people. This history and artisan craftsmanship goes into every bottle of Glenmorangie, where they boast the tallest stills in Scotland, as well as unique casks and extra maturation that add different layers to the golden liquor. 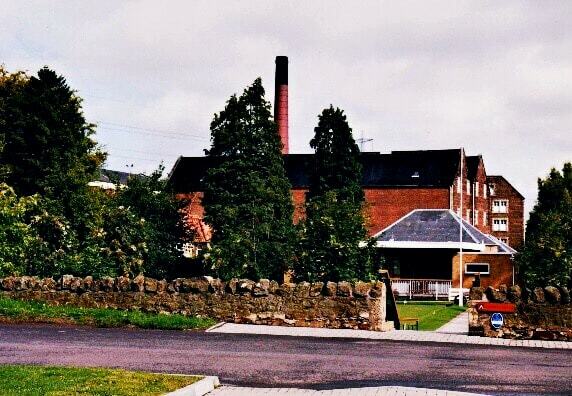 The charming Glenkinchie Distillery can be found in East Lothian, where it most likely started out as the Milton distillery, founded in 1825, relicensed as the Glenkinchie Distillery in 1837. It’s also part of Scottish Malt Distillers, a collective of four Lowland distilleries that was founded in 1914. In 1968, the old floor maltings were closed, which happened to many distilleries at the time. 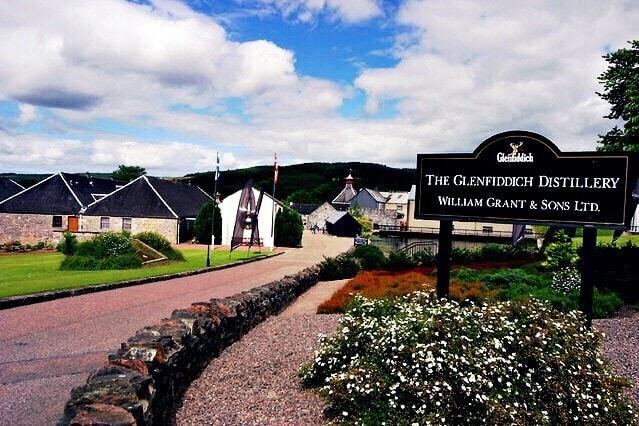 Glenkinchie was transformed into a distillation museum, which you can visit today. Currently owned by Diageo, the distillery is still producing malt whisky, and the 10 year old Glenkinchie represents the Scottish Lowlands as part of a “Classic Malts” series produced by its parent company. Glenkinchie operates just two stills and has one of the largest wash stills in Scotland. Thanks to the high quality of the barley grown in the Lothain area, Glenkinchie offers a unique flavor, and the 12 year old has been named the best Lowlands single malt by the World Whiskies Awards. The distillery is perfect for groups staying in Edinburgh, and clients can even book complimentary transportation to the distillery from the city center. 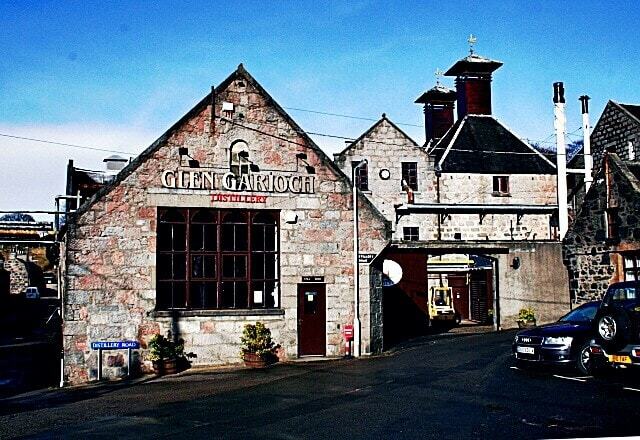 As with most distilleries in Scotland, Glen Garioch boasts about its age (possibly distilled as early as 1797) and its location (the most easterly in Scotland), but it also boasts a local dialect still spoken by residents. The name of the Aberdeenshire distillery is pronounced “Glen Geery” in Doric, the distinct Scots dialect that you may hear throughout the nearby village. Over its history, the distillery has gone through difficult times, and the owners of the distillery have found innovative ways to address those. Take, for instance, the Glen Garioch Greenhouse Project, which were heated by the malt kiln in an innovative way to save on fuel costs in the 1970s. The Greenhouses produced tomatoes, peppers, eggplants, and cucumbers until the project was discontinued in 1993. The distillery also had to find a new water source in the late 1960s due to water shortages. 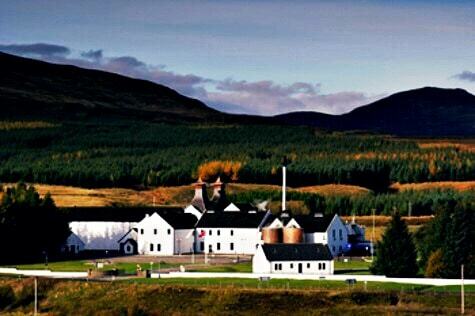 The distillery closed for two years in 1995, producing its last batch of whisky made with smoked barley. Now the whisky is made unpeated, but you can buy bottles from vintages as early as 1978 to taste the old peaty smokiness. One of the best selling whiskies in America, Glenfiddich was founded in 1887 outside Dufftown by William Grant, whose family has owned it ever since. Glenfiddich means “Valley of the Deer” in Gaelic, and you can still see the iconic horns on every bottle. In 2011, the most expensive bottle of single malt to sell at auction was the Glenfiddich Janet Sheed Roberts, who happened to be not only Scotland’s oldest woman at the time, but also the last grandchild of William Grant. Glenfiddich is also the world’s most awarded distillery, with several single malt bottles to choose from. Now the distillery puts out different versions for a new era, such as the India Pale Ale Cask, Fire & Cane, and Winter Storm. The company does pride itself on the traditional methods they use to create their core offerings, including the cooperage that still produces barrels. Like Glenkinchie, Dalwhinnie is owned by Diageo, and is the representative of the Highlands single malt offered in the company’s “Classic Malts” collection, although the whisky was classified as a Speyside malt in 2009. The distillery is located in the Cairngorm National Park and was the winner of the Best Distillery Tour in Scotland Award from Drinks International in 2017. It was also the highest distillery in Scotland from 2002-2008, located at a junction of old roads nestled between mountains, and is on record for having the lowest average temperature of any inhabited region in the country and possibly the U.K. While it’s a somewhat strange and remote location to start a distillery, the founders had the meeting of the roads and the village’s location in the geographic center of the Highlands in mind when they started in 1898. Dalwhinnie has sole access to its mountain lake water source, and gives the whisky a clean, sweet flavor with flowery notes. We create custom tour packages including cultural experiences for each of our customers, and can find the perfect distillery tour (or two) to add to your golf adventure in Scotland. Get in touch today for a free quotation!